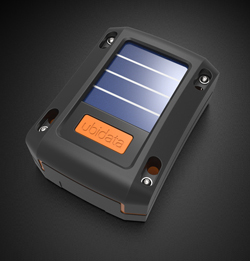 Ubidata has now released an autonomous variant of the ubi.MX telematics box. With its complete autonomy this solar powered version of ubi.MX is ideal for use in the rail freight market as well as for multimodal transport solutions. The solar panels positioned on the top of the ubi.MX enables the telematics device to collect data from the rail wagon indefinitely without the need for any intervention to replace batteries.